The art of negotiation is a trait that most people either possess or they don’t. Those that are fortunate to have that trait likely have it engrained in their DNA from birth, and those that lack it can attend every school and seminar they want to try to attain it and not be able to do so. What usually separates those from can negotiate and those that cannot is asking for what you want and drawing a hard line in the sand on the matter. Ask, and you shall receive. People that ask and receive what they want typically are good communicators. They know how to get their point across, and tend to do so with emotion in their dialect. If someone lacks that pleading quality in their tone, the other party may not think they are serious or that the matter at hand does not mean much to them. 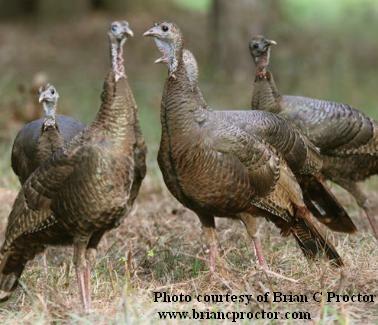 Just like people, turkeys also have certain desires and express those desires via their calling. If you ever hear a hen turkey yelping, you can distinctly tell when she is yelping with emotion or not. Have you ever heard a gobbler answer a hen that sounds like she’s having a bad day? I’m sure you have, but not with the same regularity as one who is begging for that gobbler to show up. Simply put, if you want to kill more turkeys, you have to learn to “get emotional” with them.